The number of interconnected smart devices has already rapidly increased, and the Internet of Things (IoT) has presented tremendous potential in various domains such as smart cities, healthcare and industrial automation. To integrate the IoT applications to Web to utilise the advantages of Internet infrastructures, the Constrained Application Protocol (CoAP) is proposed as one of the standardised protocols for IoT applications. However, the REST architecture style, which is the foundation of Web, was not designed for IoT applications and thus cannot satisfy all the requirements of IoT applications. 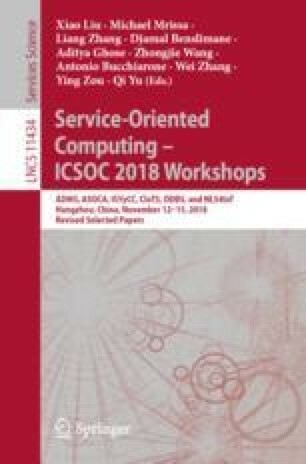 To efficiently monitor the IoT resources asynchronously, the IETF (Internet Engineering Task Force) extended the CoAP with Resource Observe mechanism. However, the Resource Observe mechanism benefits sensors rather than actuators. For the actuator resources, the CoAP cannot support the context-adaptation, and therefore it cannot always correctly estimate system states and handle complex physical behaviours. In this paper, we extend the CoAP with a context-adaptation mechanism to enrich the system states estimation and other operations in the protocol level for physical behaviour modelling and implementation. The extended mechanism is implemented in the Californium (CF) framework.